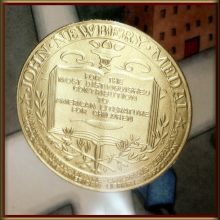 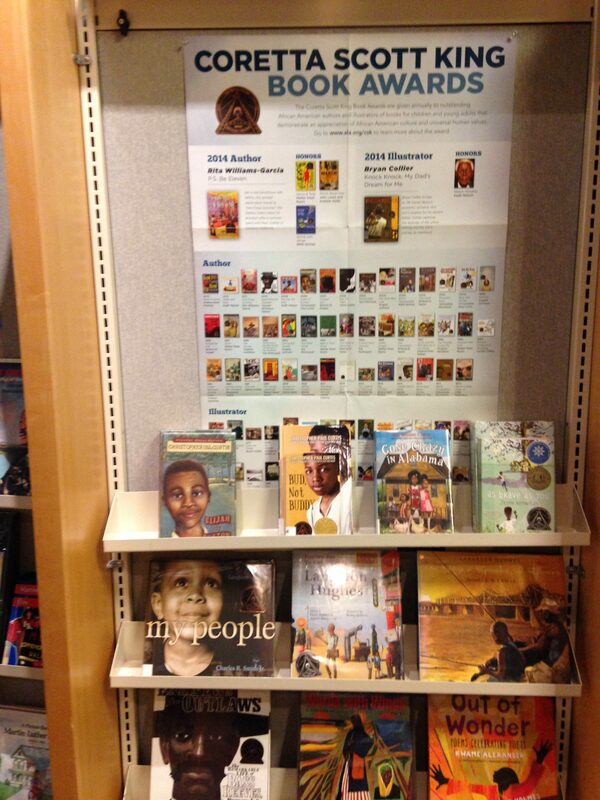 Every January the American Library Association grants awards to a variety of talented authors and illustrators that highlight the year’s many excellent works created for children and youth with their Coretta Scott King Awards, and their (Pura) Belpre, (John) Newbery, and (Randolph) Caldecott Medals. 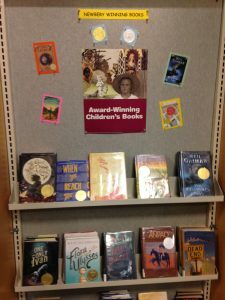 This year announcements of the winners will take place on Monday, January 28th, 2019. 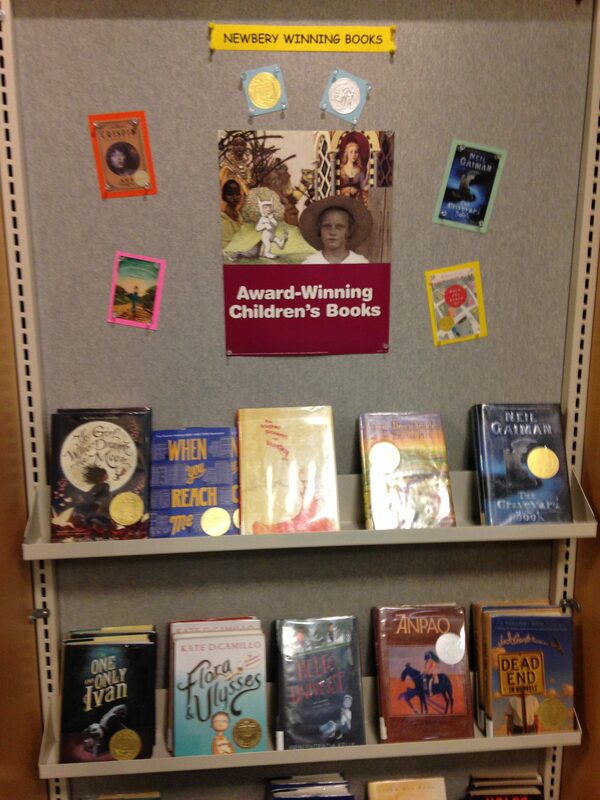 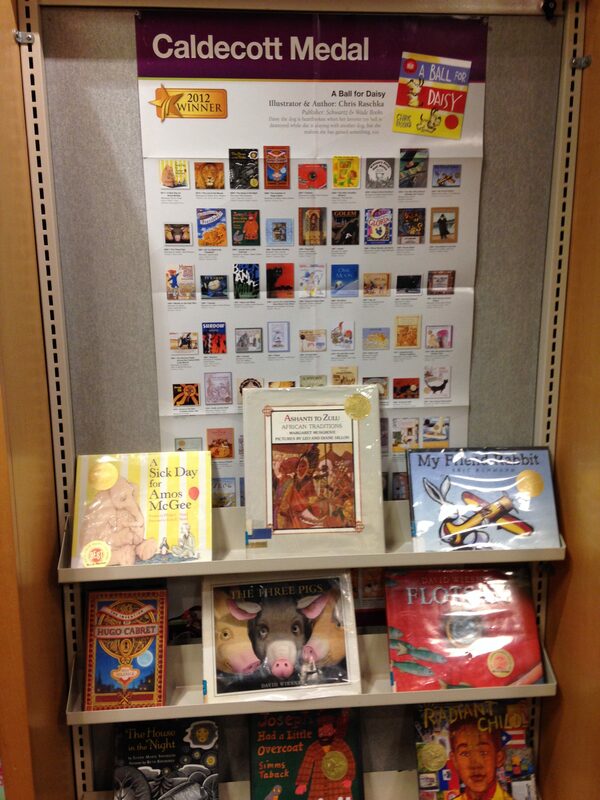 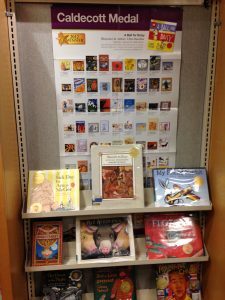 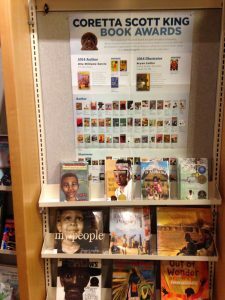 In celebration of these honored books, the Trove has four displays showcasing a sampling of the superlative works created for children that have won these prestigious awards and medals in past years. 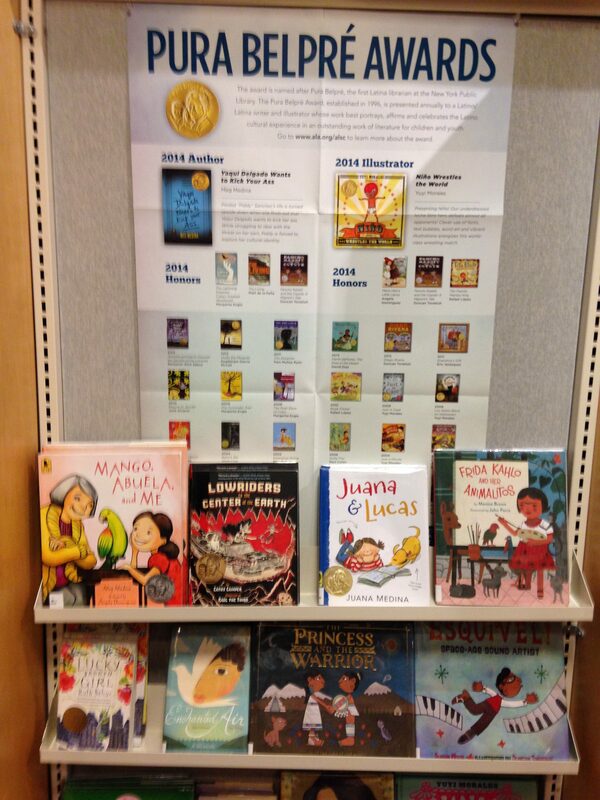 Yearly, the (Pura) Belpre Medal honors “a Latino/Latina writer and illustrator whose work best portray, affirm, and celebrate the Latin cultural experience in an outstanding work of literature for children and youth.” The (John) Newbery Medal honors the author of the “most distinguished contribution to American literature for children, and the (Randolph) Caldecott Medal honors “the artist of the most distinguished American picture book for children.” Please stop by the Trove and pick up a few winners!